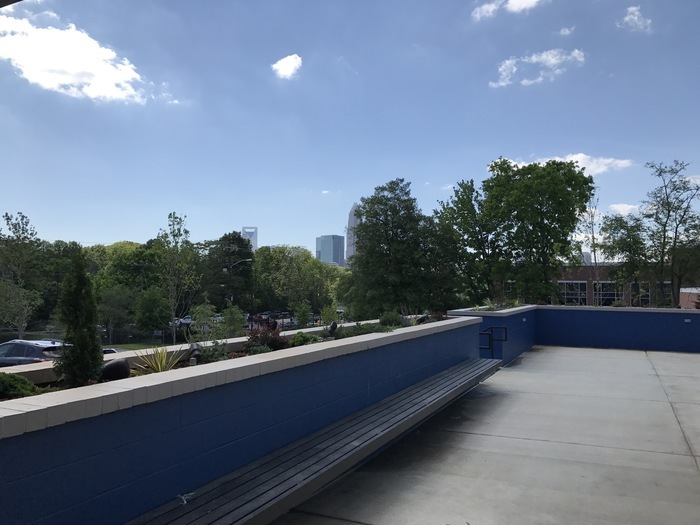 The original story appeared on Charlotte Agenda by Andrew Dunn on April 27, 2017. 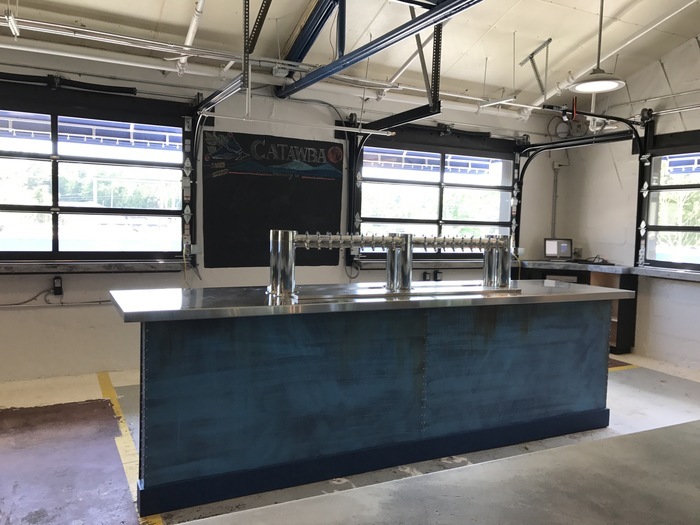 Catawba Brewing’s new taproom and production facility in the Belmont neighborhood is nearing completion. 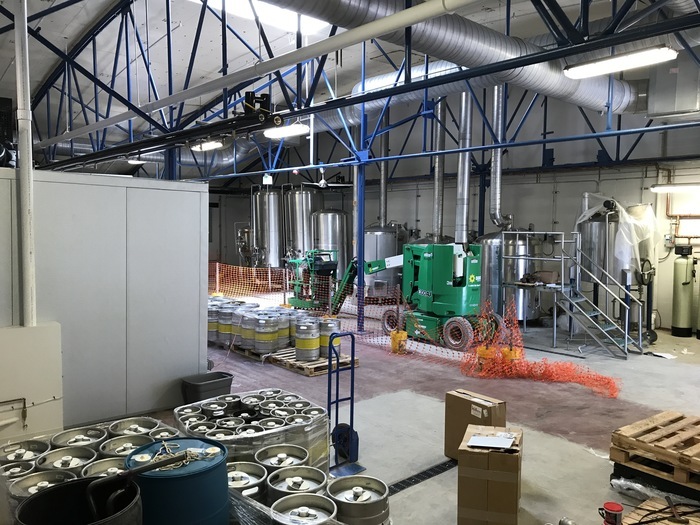 “We’re getting really close,” said general manager Tanya Birch as she unloaded the first shipment of kegs from the Catawba HQ in Morganton. They also have two locations in Asheville. 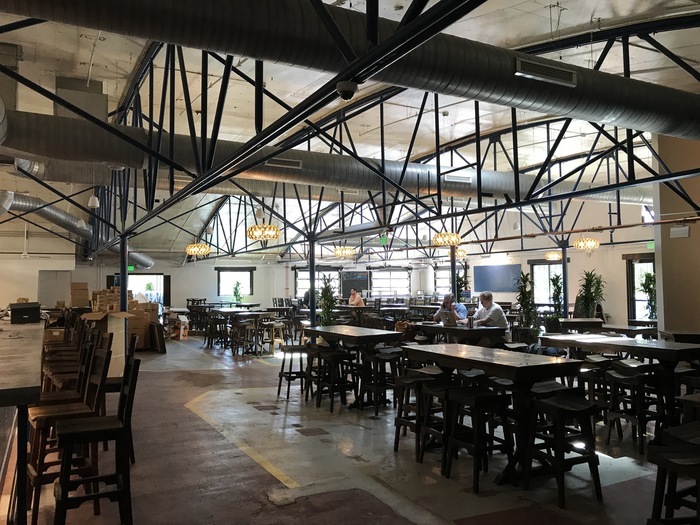 The taproom spans 10,000 square feet, complete with two different bars. 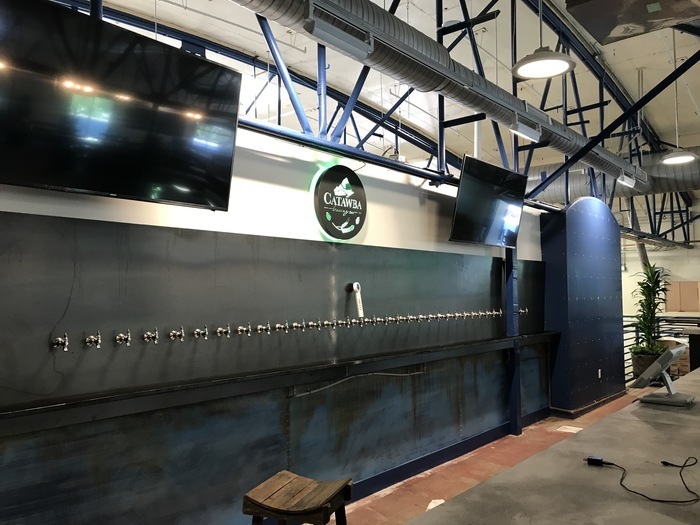 One will have 40 taps, and the other will have 32 taps. 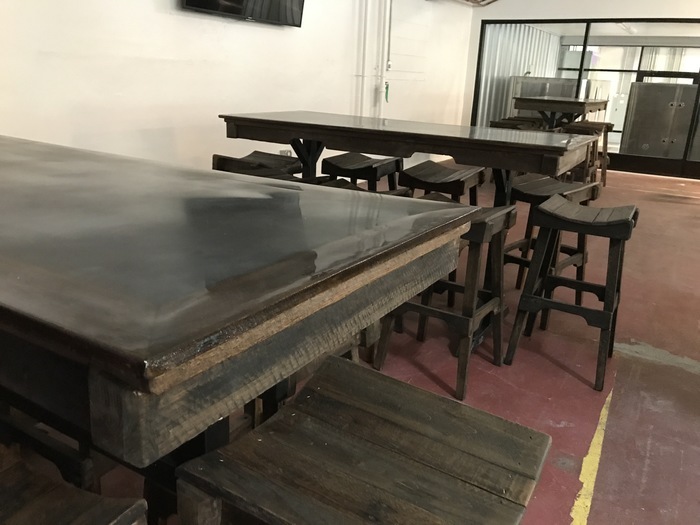 There’s also a semi-private room that will be open to the public most of the time, but able to be reserved for small events. 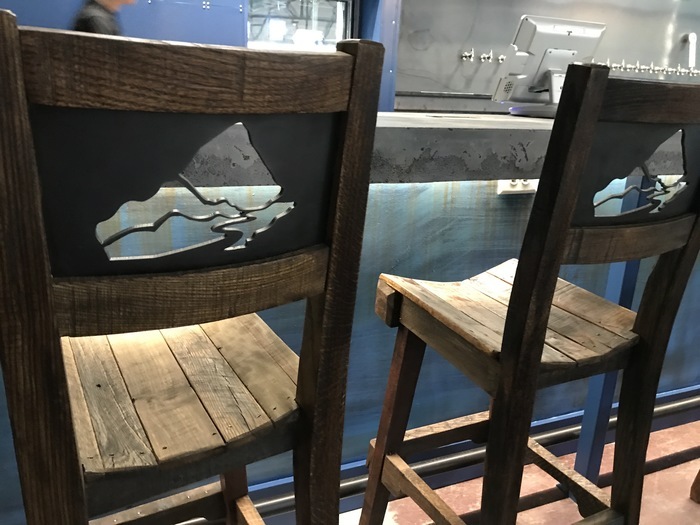 It opens straight out onto the patio with a skyline view. 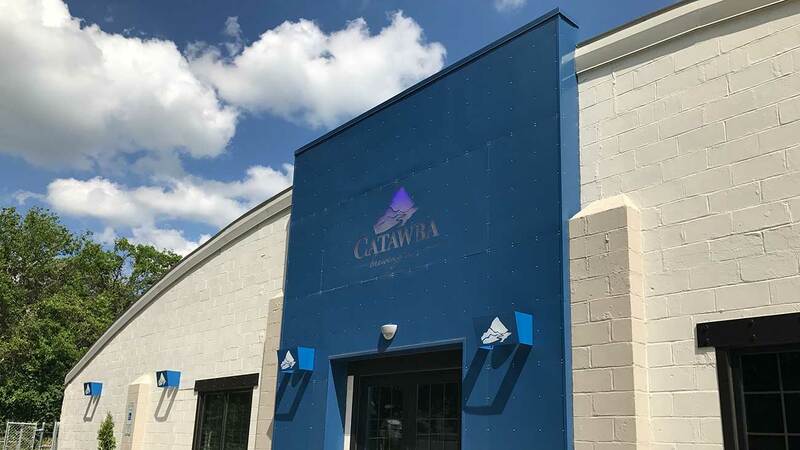 The production facility is on the smaller end of Catawba’s sites. Catawba plans to do more experimental projects here. 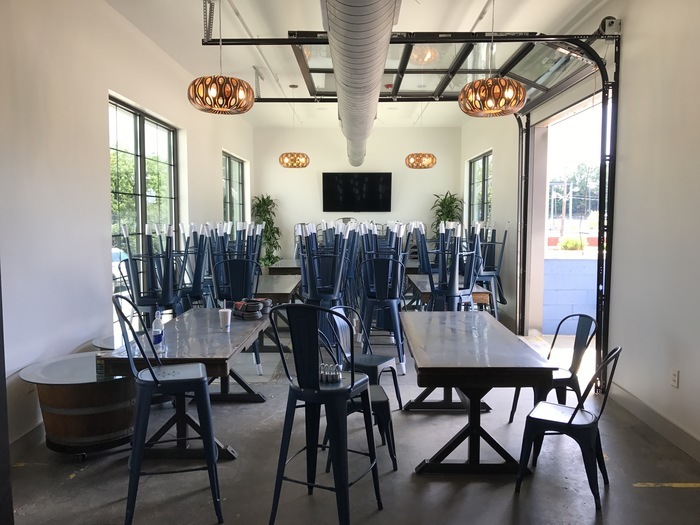 Expect Catawba Brewing in Charlotte to open in early to mid-May. 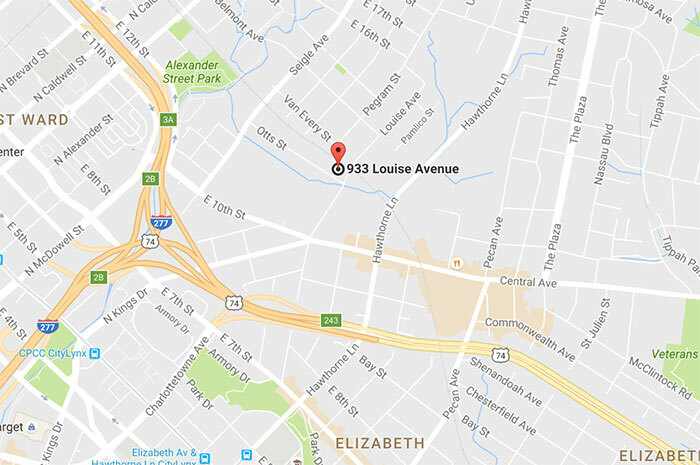 Reminder: The location is at 933 Louise Avenue, right near Advent Coworking. 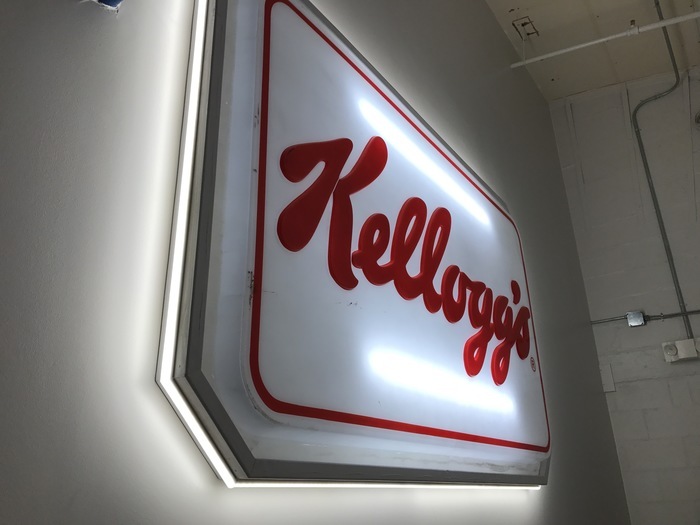 This building used to be a Kellog plant. Catawba has salvaged one of the old signs and hung it on the wall that leads to the bathrooms.